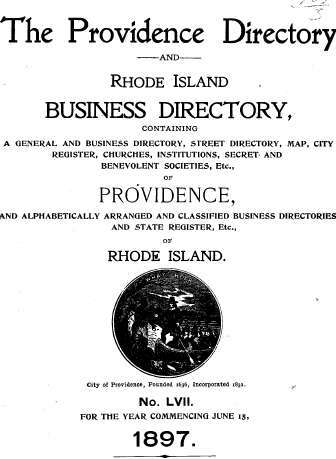 The book, "The Providence Directory and Rhode Island Business Directory, containing a General and Business Directory, Street Directory, Map, City Register, Churches, Institutions, Secret and Benevolent Societies, etc., of Providence, and Alphabetically Arranged and Classified Business Directories and State Register, Etc., of Rhode Island," compiled by Sampson, Murdock, & Company, Providence, Rhode Island, for the year commencing June 15, 1897. 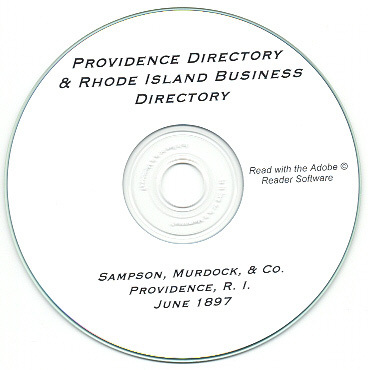 It is a HUGH book listing all individuals in Providence and all businesses (and a lot of individuals) for the state of Rhode Island. 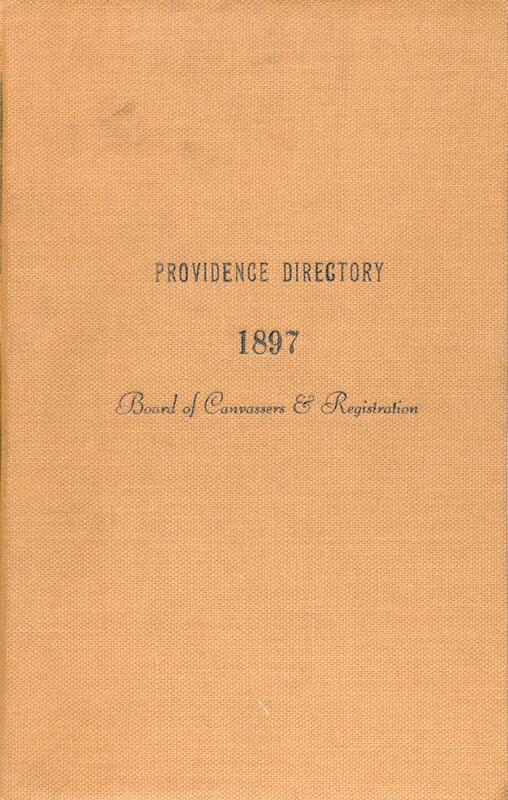 It is absolutely filled with genealogical and personal information about various Rhode Island residents as of 1897. 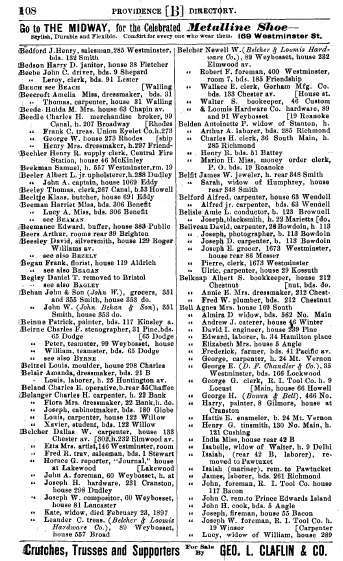 The book has 800 pages and is in alphabetical order - it can be fully searched using the Adobe Reader search function. Please note: This is not a paper book, it is a scan of the original paper book into the digital Adobe PDF format, written on a CD-ROM. You read this book on your computer using the free Adobe Reader software. It is a digital version of a hard to find book. 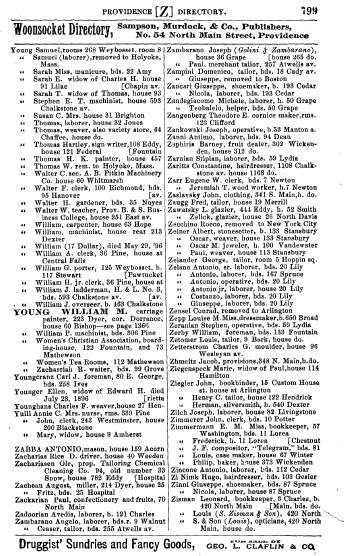 If you could find a copy of the 1897 printed book, it would be very expensive. 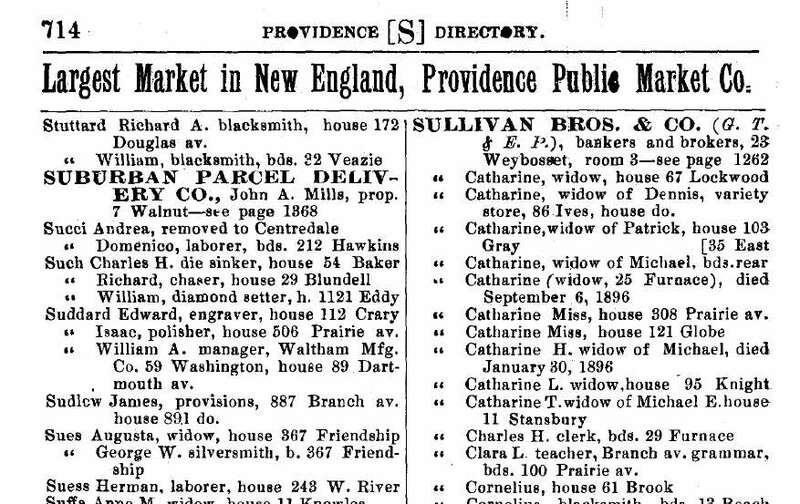 There are too many individuals listed in the Providence Directory to list. Please see the illustrations below for an example.